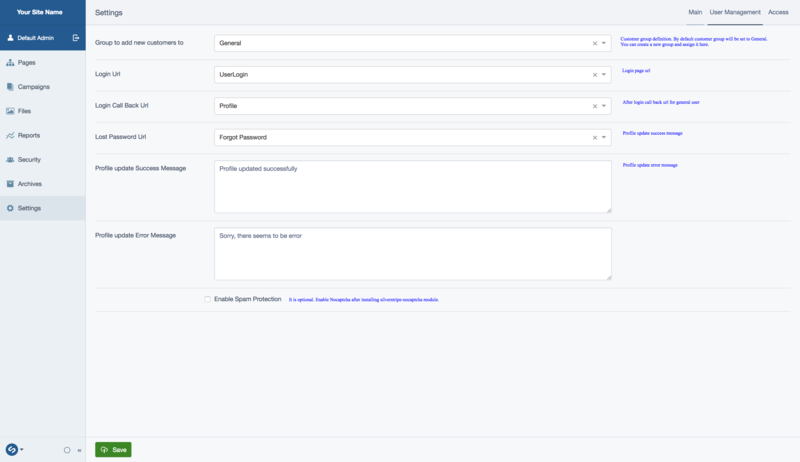 This module provides functionality to manage user Signups, allows you to customize the logins. Signup form, which is customizable. Profile form, allows users to update their details. Login form, extended from the core module. Can be customized. Silverstripe-nocaptcha module can be used along with this module.